So this review is based on Miss Claire’s butter lip balm: Biscotti. This lip balm is a recent addition to my vanity. Lip balms are a necessity for me. I can’t go through a day without lip balms. It helps me to maintain moisture on my lips and makes my lips smooth. I don’t have to worry of smiling with dry lips which look like it can bleed any moment now, plus it restricts my smile. That’s so not cool and just so embarrassing. So this lip balm is my rescue for such situations. It helps to heal my chapped lips. Lip balms are just so handy and easy to carry. Lip balms may not be the most glamorous product but it definitely is a basic one. So let me tell you about Miss Claire’s butter lip balm: Biscotti, in particular. 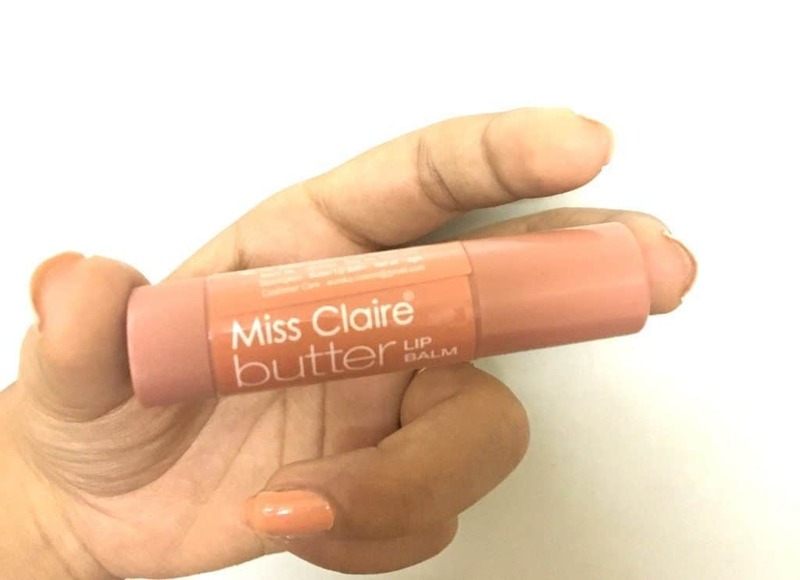 How to use Miss Claire’s butter lip balm? It comes in a brown cylindrical container. The lid of the lip balm is brown and it has a rolling bottom. The rolling bottom helps the lip balm to roll up easily for use and while closing it, simply roll it the other way so that it goes down and it is easier to close the lid without spoiling the balm. You can apply it whenever you want as it contains lip smoothening properties and helps the lips to maintain moisture. 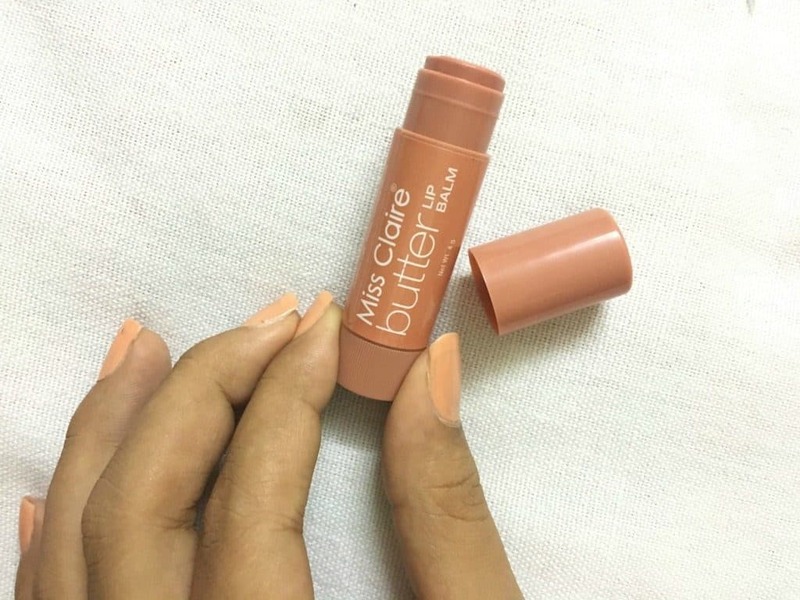 My experience with Miss Claire Butter Lip Balm Biscotti? I have recently purchased this lip balm and it is wonderful. It is transparent with a little glossy shine on the lips so the natural lip color of the lips is maintained. It doesn’t particularly have a taste. 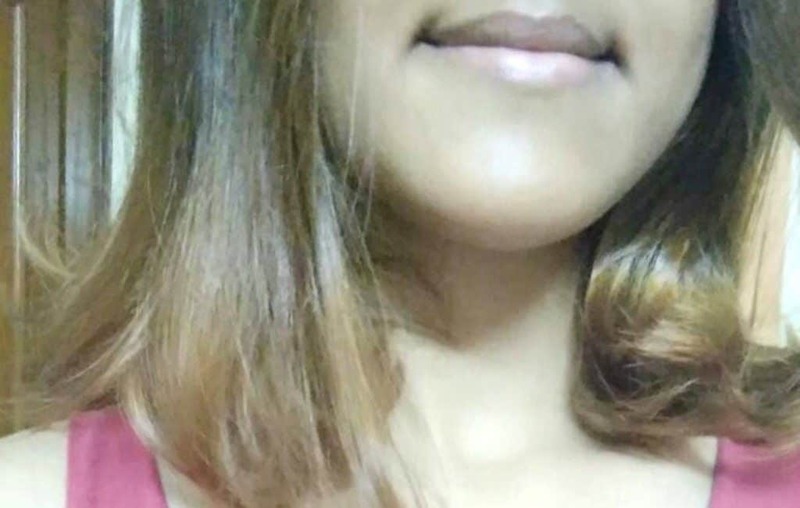 Since the lip balm has no color, I use it before applying lipstick, be it matte or glossy because it is easier to apply lipstick on smooth lips than chapped ones. Acts as a lotion: Forgot hand lotion? 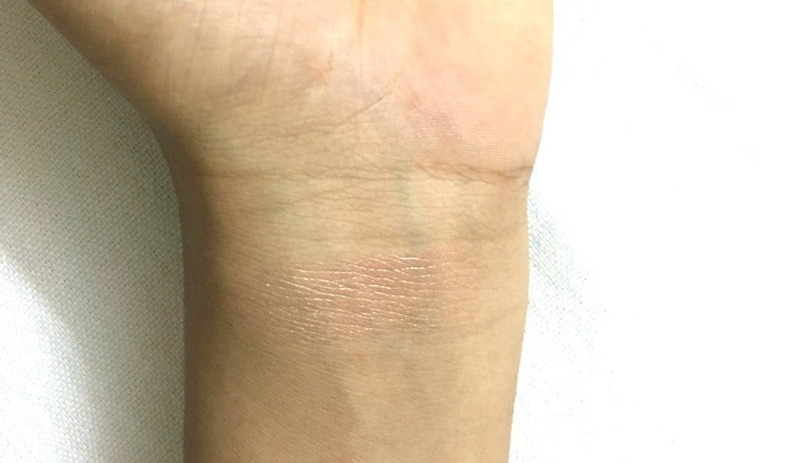 Swipe some balm on really dry patches and it works. Heals dry skin: Heals cracked fingertips during winter; whenever you apply balm to your lips, cover the cracked area with a nice thick layer too, to seal in moisture and protect the area. Acts as a highlighter: Dab along your cheekbones later in the day to shine up dull skin and look glowy. Glossy eye shadow: Mix some with eye shadow to make eye gloss. Overall it’s a good product for daily use. It maintains the natural lip color adding life to your lips with a little shine.